Finding a reliable HVAC company is an absolute must. Your home is your most valuable asset, and it has to be as comfortable as possible. Nonetheless, whenever the heating and cooling system doesn’t work properly, the chances are that your comfort won’t be there any longer, particularly on days with extreme temperature, be it too high or too low. This article aims to provide you with tips and advice to help you choose your HVAC company the smart way. Try to put together a list of potential contractors by using either a phone book or the internet. You may also check whether some apps put such local contractors in contact with their potential clients. Anyway, you should make this list and then contact all these contractors one by one. Prepare your list of questions beforehand. There are a few things you should check with your potential HVAC contractors. You should find out whether they are licensed and qualified to offer this type of services. You should also ask them about their longevity on the market and their portfolio of clients. Ask to see a copy of their license, and don’t forget to check whether it is current. It’s in your best interest to choose an HVAC company that’s trained and licensed in accordance with the latest standards in the HVAC industry. Apart from checking the license, you should perform an in-depth background check on each company. Try to find out whether any complaints are pending against the company. The Better Business Bureau is the place to go for doing such investigations. You may also want to check such facts with the local licensing boards. Asking for references is another brilliant way to check the credibility of a certain contractor. The best ones should be more than happy to offer you a list of clients with their contact details. After you get these references, make the phone calls, in order to ask these people about their experience with that contractor. If most of them have negative comments, you may want to move on to the next contractor on your shortlist. The number of years the company has been in business is another indicator of its professionalism. Use your favourite search engine to find out as much as you can about that contractor. The longer they’ve been on the market, the greater the chances that they are indeed professionals. Someone offering poor quality services wouldn’t be able to survive in such a competitive market for too long. Try to find out for how long the contractor has been in the same location (city, state, address). A company that moves around a lot may not be quite stable. If you can’t trust to find them in the same place within a few years from now, how are you going to develop a long-term cooperation relationship with them? 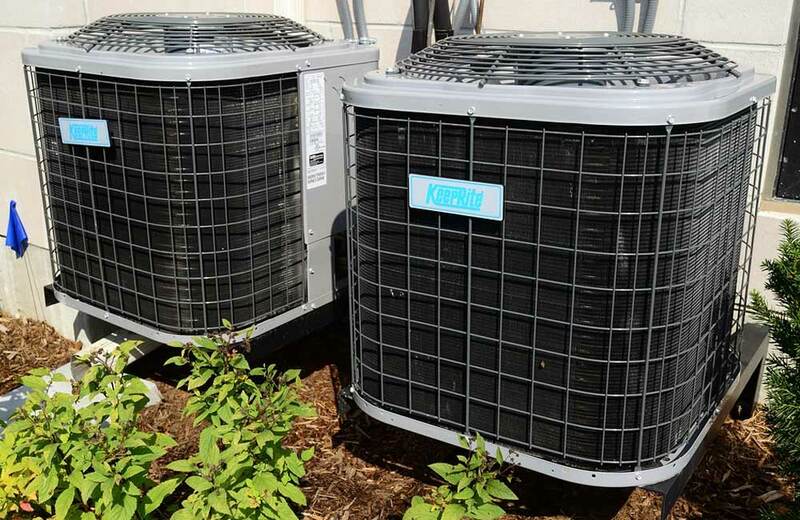 An HVAC system requires regular maintenance, so you have to find a company that’s able to help you for a very long time. It is mandatory that you have good communication with your HVAC services provider. Before hiring anyone, make sure they have a physical address. PO boxes aren’t meant to earn your trust. Check that the provider you intend to hire has a telephone number, a postal address, a website, an email address, and perhaps an emergency number. Should your heating system break in the middle of the coldest night of the year, you need to have the peace of mind that your contractor will be there for you, ready to send you an expert technician to get you out of trouble. According to industry specialists, a good relationship between homeowners and HVAC contractors may last for years. This means you need to choose someone whose employees you’d trust to let inside your home. This is a tricky test to perform, but you can try to get to the contractor’s offices without a previous warning, to meet their employees and to speak to them. If they don’t seem to resonate with you or they ignore you, you can safely move on to another contractor. Never hire the first contractor you come across. Ideally, you should aim to have at least three bids on your project. Like this, you’ll have the peace of mind that you’ve made an informed choice. A bid that’s too low should trigger a warning, so you should probably avoid choosing this contractor. Ask the winner for a detailed services agreement. Put in writing everything you’ve discussed and agreed upon. You may need this later on, should a dispute arise.